Stein Evju (1946) graduated from the Faculty of Law, University of Oslo in 1975 with a cand. jur. (LL.M.) degree. He was Professor of Labour Law and headed the Labour Law Group in the Department of Private Law, University of Oslo, 2004-2016, with Norwegian and international labour law as his main fields. From 2017 he is Emeritus Professor in the Department of Private Law. Since 2007 he is also Honorary Professor at the University of Aarhus, Department of Law, Denmark. He worked in the Department of Public and International Law, University of Oslo 1976-1984, from 1981 as associate professor, faculty responsible for labour law, and Head, the Labour Law Section of the department. He was President of the National Labour Court of Norway 1984-2000 and Professor II (part time) of Labour Law in the Faculty of Law, University of Oslo, 1990-2000. In 2001-2003 he was Professor of Labour Law and Business Law at BI Norwegian Business School. He has served as judge ad hoc in the European Court of Human Rights 1999-2003, and has acted as judge in arbitration cases. From 1996 through 2008 he was a member of the European Committee of Social Rights, of which he was President 2001-2003 and General Reporter 2003-2007. 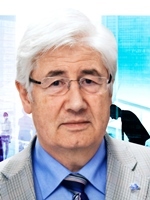 Evju was founder of the Norwegian Society for Labour Law, which he headed since its foundation in 1981 until resigning as President in 2013, and is active in several international professional networks and associations. He is an initial member of the European Labour Court Judges’ Meetings (ELCJM), a meeting series for senior labour judges organized in collaboraton with the ILO, and a founder member of the European Association of Labour Court Judges (EALCJ). He is a member since 1981 of the Executive Committee of the International Society for Labour and Social Security Law (ISLSSL), and a founder member and member of the Advisory Committee of the Labour Law Research Network (LLRN). He is an editor and editorial board member of several domestic and international professional journals. He led an international research project – FORMULA – 2008-2012/2014, and was the initiator and head of a Norwegian program to develop and expand labour law as a research and academic topic - Arfa - 2008-2017.